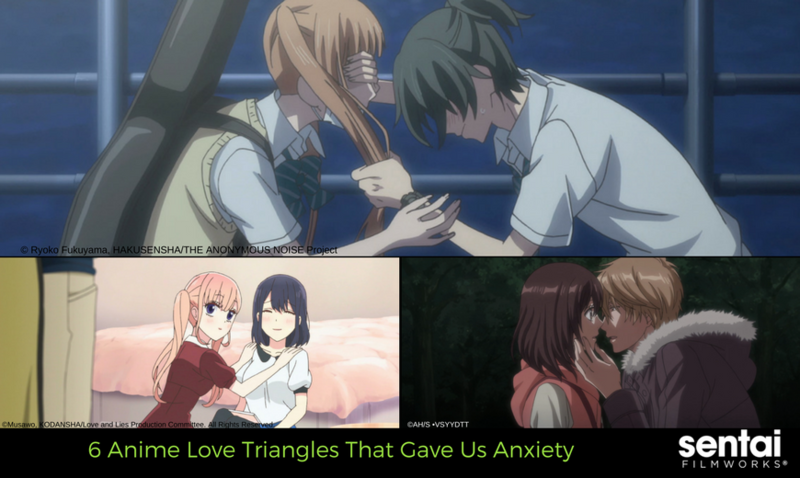 There’s something about anime love triangles that makes our heart ache with a rather satisfying pain. These triangles not only feed the dramatic spirit, but also remind us to communicate our feelings. 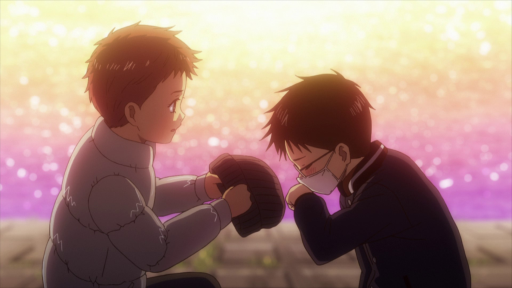 Some of these pairs make us cry, bump our heads against the wall, punch a doll, kick a poor box, or just stare at your coworker who, clearly, isn’t supporting your ship. Either way, we can all appreciate these stress-inducing loves. 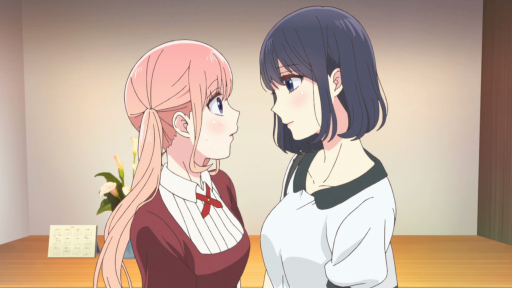 We all have our preferences, but this shoujo anime will have you gripping your heart as this teenage angst takes you on an emotional roller coaster ride. Whether you’re #TeamMomo or #TeamYuzu, we can all agree that we just wanted someone to be HONEST with their feelings! It isn’t that hard to say “I like you…” Okay, maybe it is, but we think they could have benefited from some communication. Our favorite scene was when all three characters met for the first time, only to realize the “other guy” was “HIM” all along! To be fair, Neji confessed his feelings to Misaki. The only thing that went sideways was that the government was like “NOPE! Ririna is best suited to be as your wife.” What do you do when the government tells you that you’re more compatible with someone else? If you’re Neji, the answer seems to be, try to make everyone happy, even if it means hurting yourself in the process. There might be a third option that hasn’t even popped up on his radar. A series where the romance is a bit understated, but boy, do we see the tension between these three. 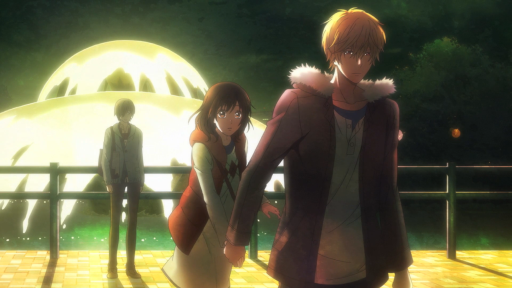 Chihaya has a thing for Arata, but Taichi has feelings for her. 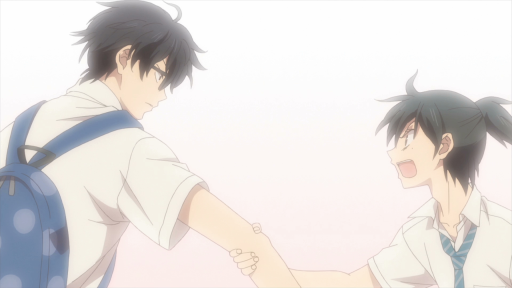 Meanwhile, Arata doesn’t know how he feels towards Chihaya, but Taichi sees him as a rival for her affections. 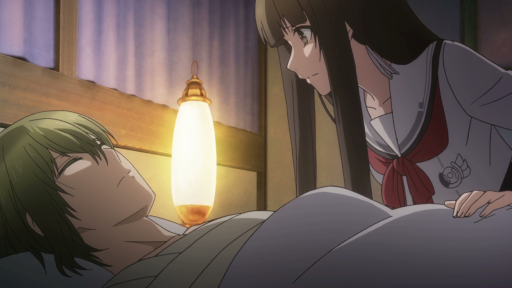 This is what we call a nail-biting romance because both of these guys care about her in their own way. Mayuko is the bubbly counterpart to tsun-tsun tough girl Asako, but they’re good friends who happen to (secretly) have a crush on the same boy: their mutual childhood friend Ushio! 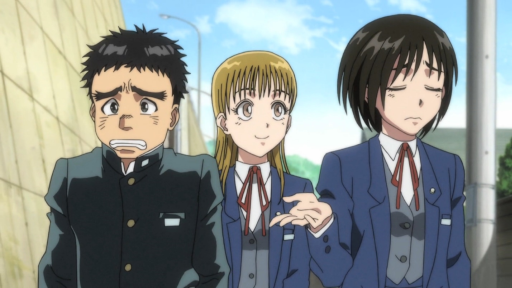 Ushio and Asako’s unspoken (and sometimes vehemently denied) affections are apparent from the get-go. It’s painful to watch Mayuko step aside out of a deep love for both her friends. Fortunately, there may be an orange-haired knight in shining armor for her somewhere in this series! 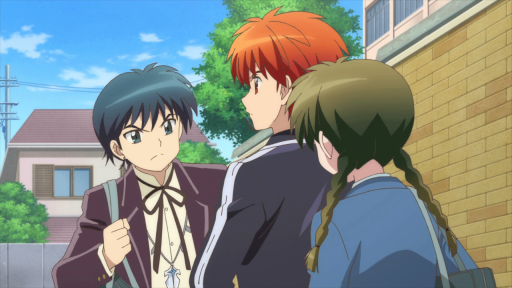 Childhood friends and weapon dealers don’t always mix especially when they’re both potential love interests. In this anime love triangle, things become dangerous when Mikoto is kidnapped and made to choose between two very different guys. With Sakuya fervent in protecting Mikoto, but unable to profess his feelings lest his vision come true, he must bear it silently. Natsuhiko, on the other hand, falls for her while watching her fight to protect her friends. The boy even takes a bullet for her!